We head into Gameweek 5 in optimistic mood after last week’s selection performed strongly, producing 59 points - well above the Gameweek average (43). 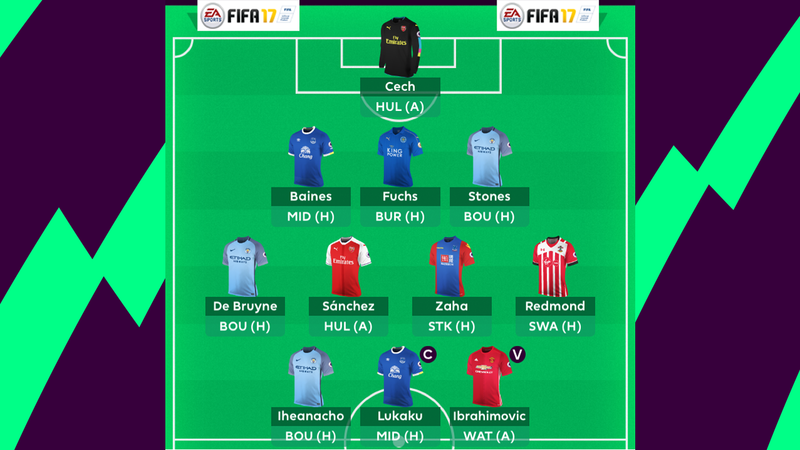 Despite that, we have been ruthless ahead of this evening's Fantasy Premier League 7pm deadline, retaining only three of our starting XI. We have to keep faith with Romelu Lukaku (£9.2m) after his Monday night hat-trick at Sunderland. A confident Lukaku will be difficult for Middlesbrough to contain at Goodison Park; that’s enough to convince us to hand the Everton striker the captaincy. That decision may not be well received by Zlatan Ibrahimovic (£11.9) but at least the Manchester United man avoids the indignity of being dropped. The four-goal Swede is retained ahead of his trip to Watford. Manchester City's Kelechi Iheanacho (£7.0m) completes a powerful three-man front line. The 19-year-old is a short-term pick ahead of Sergio Aguero's (£13.0m) return for Gameweek 6 but, having scored and assisted at Old Trafford, he looks primed for further profit ahead of AFC Bournemouth's visit to the Etihad. Arsenal's Alexis Sanchez (£11.0m) is the other name to keep his start from Gameweek 4. A goalscorer in Europe in midweek, we expect the Chilean to be the major threat to a determined Hull City rearguard at the KCOM stadium. Man City's Kevin De Bruyne (£10.5m) is our other big-money midfield selection. He sparkled in the win over Manchester United, returning 13 points, and continues to flourish in a new central midfield role. There are other candidates in Pep Guardiola's midfield but we prefer the security of opting for City's reassuringly expensive pick. That means saving funds elsewhere, which has lead us to consider an unlikely recall for Southampton’s Nathan Redmond (£6.1m). The former Norwich City winger has suffered sales with over 65,000 FPL managers showing him the door ahead of Gameweek 4 and another 35,000 prior to today's deadline. But Redmond started on the bench for Thursday's UEFA Europa League tie so looks well placed to resume duties up front for the visit of Swansea City on Sunday. The Swans defence has allowed 41 shots inside the box and 11 'big chances' so far this season - only Stoke City's suffering rearguard has conceded more. Which brings us to the final midfield pick. 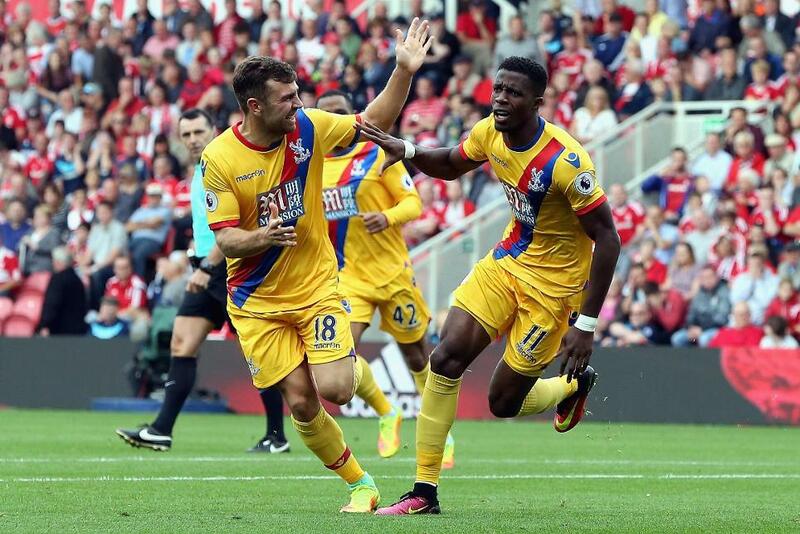 Wilfried Zaha (£5.4m) was outstanding in Crystal Palace's win at Middlesbrough and we are backing him to torment the aforementioned Potters' defence at Selhurst Park on Sunday. At the back, we have opted for the usual blend of clean-sheet potential and attacking promise. Leicester City's Christian Fuchs (£5.4m) and Everton's Leighton Baines (£5.5m) epitomise that in home fixtures with Burnley and Middlesbrough respectively. Manchester City's John Stones (£5.0m) offers little by way of attacking promise but does look a strong option for a shut-out, with City likely to dominate AFC Bournemouth. We are backing the Gunners to keep Hull City at bay, with Cech returning some save points and a second shut-out of the campaign.